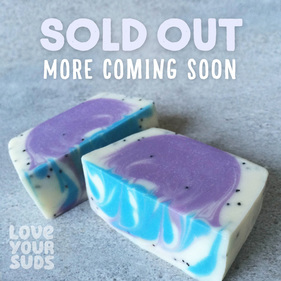 Our latest batches, what's coming soon, regular favourites, custom orders and things that inspire us! 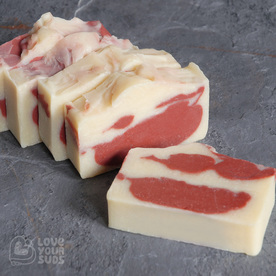 This bacon lover's delight provides the moisturising benefits of shea butter with a light fragrant mix of pure ylang ylang, grapefruit and cedarwood essential oils. With all the benefits of goats milk and honey, this soap slice is gentle, soothing, hydrating and safe to use on sensitive skin types. 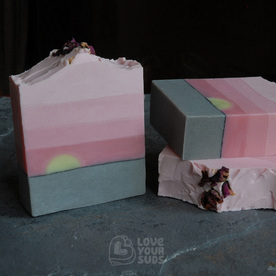 Lightly fragranced with beeswax and pure bergamot essential oils, with a hint of lavender. Premium palm-free and skin loving ingredients like cocoa butter, silk and orange blossom water, paired with sweet creamy mix of pure orange, pink grapefruit and vanilla essential oils. 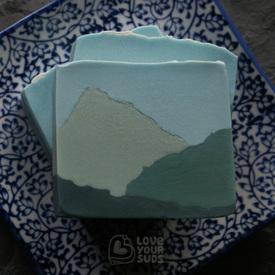 Fresh alpine air and day hikes – this soothing soap gently cleanses with it's moisturising blend of ingredients including shea and cocoa butters, paired with a fragrant mix of pure lavender, eucalyptus and cedarwood essential oils. 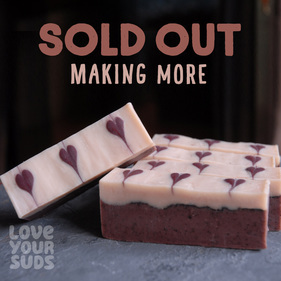 A soothing skin-loving blend of premium ingredients including cocoa butter, rose water, silk and activated charcoal, with a lovely bouquet of roses and vanilla essential oils. 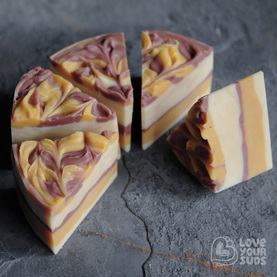 Freshly scented like crisp sunny days and strolls in the forrest, this lovely soap bar provides the moisturising benefits of shea butter and silk, with a light fragrant mix of pure eucalyptus, cedarwood and lavender essential oils. of caffeine these yummies are made with fresh, locally sourced espresso beans and pure peppermint essential oil. Want to be one of the first to know when the next batch is available? Submit your email below and we'll send you a note when it's ready. This is a couple you love to have around. 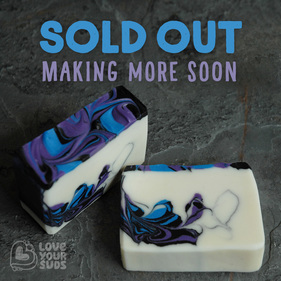 Packed with the health benefits of 100% pure and natural Lavender essential oil these soothing suds reduce nervous tension and insomnia and enhance circulation among other benefits! 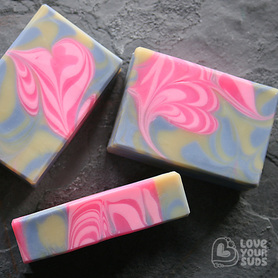 One of our best-selling soaps is back with a new twist! 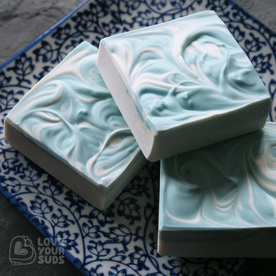 This bar is features a delightful swirl and is made with a more lavender. We've also added Tussah silk, shea and cocoa butters – great for those with dry and/or sensitive skin.